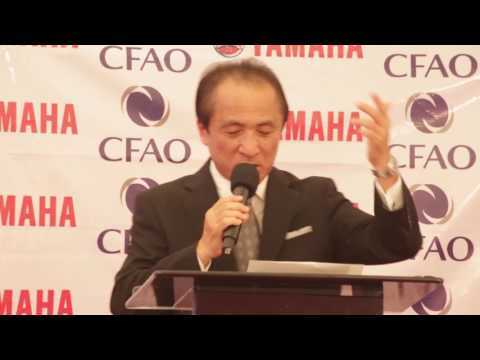 Yamaha Motor Co. entered its first race ever at the third Mt. Fuji Ascent Race, just 10 days after the company was founded on July 1, 1955. Since then, the history built up by our many challenges in racing arenas around the world has come to represent the very history of the Yamaha Motor group itself, and the Spirit of Challenge born of these racing activities has become an integral part of our corporate culture. Last year marked Yamaha Motor's 60th anniversary of its foundation and we conducted our activities based on these basic policies. Our successes included taking the MotoGP Triple Crown of Constructor, Rider and Team titles as well as the MXGP title in the Motocross World Championship. 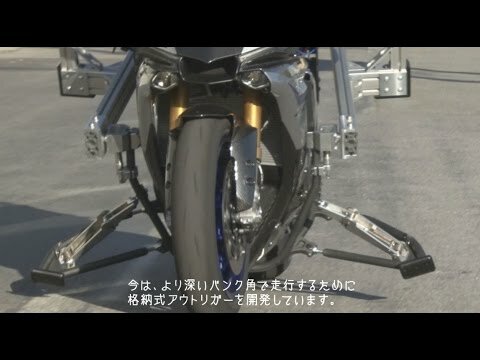 Furthermore, the new YZF-R1, which was developed based on technical feedback from the YZR-M1 MotoGP machine, won the Suzuka 8 Hours Endurance Road Race along with titles in Japanese, European and American production-based racing championships. In addition to these achievements, Yamaha Motor took on new challenges, such as continuing our work to create a "step-up" model to nurture young riders from Asia with the goal of bringing them to the world stage. In 2016 as well, Yamaha Motor will continue its global racing activities in line with these three basic policies to taste further victories and to bring "Kando"* to people all over the world. In the MotoGP World Championship, the factory Movistar Yamaha MotoGP team will feature Jorge Lorenzo, who claimed his third MotoGP World Championship title in 2015, and Valentino Rossi, who will enter his 15th season in the premier class. Both will ride the 2016 version of the YZR-M1. Bradley Smith, who last year finished as top satellite rider with a MotoGP career-best 6th place overall, and Pol Espargaro, who was ranked 9th overall, will make up the Monster Yamaha Tech 3 satellite team, also aboard the 2016 YZR-M1. Yamaha will be aiming to secure a second consecutive Triple Crown. For the first time since 2011, Yamaha Motor will field a team in the World Superbike Championship: the Pata Yamaha Official WorldSBK Team. Riding for the team will be 2014 World Superbike Champion Sylvain Guintoli and Alex Lowes, entering his third season in the class. They will compete on the YZF-R1, which claimed numerous race wins and titles in its debut season last year, in order to prove that it is the fastest production superbike and secure Yamaha Motor's first championship title in the class since 2009. In the Endurance World Championship, two European teams will compete for the full 2016 season, while a Yamaha factory team will again take part in the third round, the Suzuka 8 Hours, with the goal of repeating last year's triumph. Yamaha Motor will also field teams in Europe's FIM Superstock 1000 Cup and in the Superbike class of the MotoAmerica AMA/FIM North American Road Racing Championship, North America's pinnacle road racing series. All the teams will be striving to win their respective championships this year. Last year, Yamaha Motor began a tiered "step-up" program in Asia to offer a chance for young riders to grow progressively, creating an environment in the Asia Production 250 (AP250) class of the Asia Road Racing Championship (ARRC) where young riders could challenge for results. This season, Yamaha Motor has formed the new Yamaha Racing Team to contest the championship's premier SuperSports 600 (SS600) class on the YZF-R6 and represent the next level that these AP250 riders should aim for. Riding for the team will be Yuki Ito, who has finished in the top nine for the past four seasons in the class, alongside Muhammad Fitri Ashraf Razali from Malaysia, who will begin his third season in the class. The two will contest the season in hopes of growing as riders and winning the championship. In the AP250 class, Yamaha Motor will continue to support the riders and teams competing on the YZF-R25 this year. The Monster Energy Yamaha Factory MXGP Team will compete in the Motocross World Championship's pinnacle MXGP class. Romain Febvre, who last year returned the premier-class title to Yamaha Motor for the first time since 2009, and his teammate Jeremy Van Horebeek, who finished 5th overall last season, will be aiming for a second successive world title on the YZ450FM factory machine. Besides the factory team, other Yamaha teams will be competing in MXGP and its feeder class, MX2. The young riders in MX2 will be fighting for the championship with their eyes on stepping up to the MXGP class. In the AMA Supercross Championship, which kicked its season off on January 9, the Monster Energy/360fly/Chaparral/Yamaha Factory Racing team is contesting the premier 450cc class with two-time Supercross champion Chad Reed aboard the YZ450F. The Autotrader/Monster Energy/Yamaha Team is also in the 450cc class and aiming for top finishes alongside Reed. AMA Supercross' 250cc class is divided into East and West regional groups, with each being held as a separate championship. Several young Yamaha riders will compete alongside defending 250cc West Champion Cooper Webb. Yamaha Motor's goal this season is to secure both the East and West championship titles.